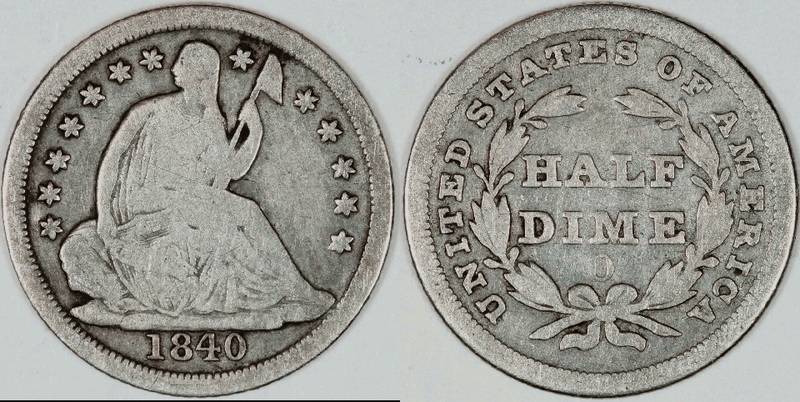 Seated Half Dimes for sale - Rich Uhrich Rare U.S. 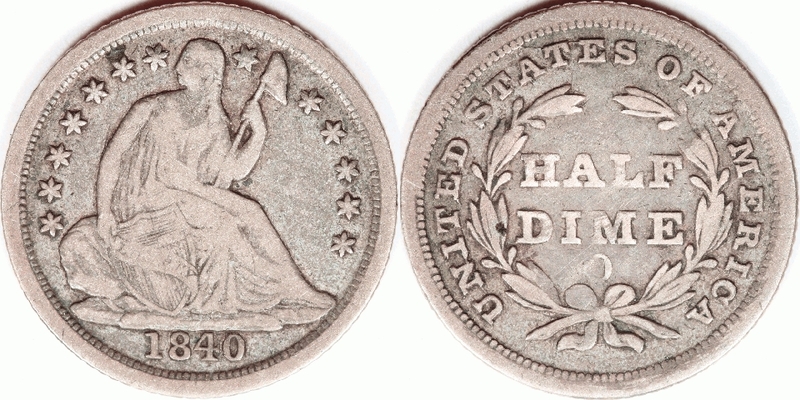 Coins Inc.
We have two 1840-O No Drapery V-1's, and a wonderfully toned 1844 in PCGS AU-58. And call us if you find an 1870-S! 1840-O No Drapery V-1 Large O F-12, pinscrs.